OK, so you’ve got an idea of how many different kinds of CMS there are out there. Now you want to pick one. Or perhaps you’re building a client-facing site, and a internal wiki, so you want two. Larger organizations tend to need multiple systems after all. …don’t compare them with each other so much as compare them with your needs. For the sake of simplicity in this article however, let’s just assume you only need one. Let us also assume that you know exactly what kind of site you want to build, and what you want it to do for you. Those are some pretty big assumptions to start with, but working out those particular issues could star in their own ultimate guide. So you’ve got all of that worked out. Now, you need to narrow down your choices. Where do you start? You start with the fun part, of course. You look at the features, compare them, try out demos, and generally just play around. I mean, who doesn’t like trying out new software for fun? Oh… oh I see a lot of people with their hands up. Ok, so not everybody’s into that. For serial experimenters and system-breakers like me, though, it is a lot of fun. Anyway, you need to take an serious look at the features of each CMS that you consider, and compare them. Well, don’t compare them with each other so much as compare them with your needs. Find out how much of your site can be built with the core system. Look at plugins, extensions, and modules. Do any of those meet your needs, and are they being developed in the long-term? Okay, for a smaller business that doesn’t have their own IT department, or an individual, this section may not matter as much. Larger organizations might have developers on staff, or they might just be used to working with certain technologies already. In that case, they should look at the technology behind each CMS to see if they’re comfortable with using it. The underlying technology may not be the deciding factor, but don’t ignore it, by any means. For example, if you already have someone, or some people, on staff who works with PHP, Python, NodeJS, or ASP.Net, you might want to pick a system based on the technology you’re already using. It could save time and trouble when dealing with the unforeseen. Also, you might already have the right server setup, if you plan to host your site yourselves. 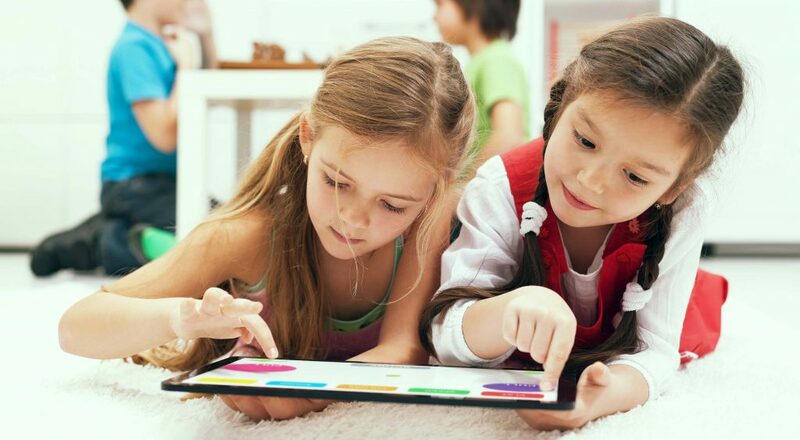 The underlying technology may not be the deciding factor, but don’t ignore it, by any means. Even if you decide to contract the job to an outside firm, having people on the inside who can help out might just save your website in times of crisis. Many, if not most CMS out there are free, and/or open source. Some aren’t though. Some of the enterprise-level systems can get rather expensive, too. The actual software may not be expensive, but getting it implemented is another matter. This may be a moot point entirely if you have your own developers, and they’re experts with the system. But let’s assume, for this section, that you’re hiring an outside contractor. Once you have a CMS or two in mind, you’ll want to shop around for different designers/developers/agencies to see who can implement what you need at an affordable rate. Individuals and smaller businesses are probably better off going open-source. The more popular open-source CMS have massive communities of developers who like to work with them. That means you have options. Tied into budgetary concerns is the matter of ongoing support and maintenance. Who’s going to do it? Someone in-house? The agency you hired to build the site? The company who built the CMS in the first place? Keep in mind that some free CMS are made by companies that will sell you support for a modest fee. Some are made by passionate individuals who will hang out in an IRC chatroom and answer your questions… if they’re on, and have the time. So yeah, getting support might be a tricky proposition if your budget is small. In that case, you’re probably better off sticking with a well-known system like WordPress, and getting ready to do a lot of Googling. Or using a managed site builder like SquareSpace. Larger organizations will mostly be concerned with who is going to provide the technical support. Once they have that figured out, it’ll narrow down their CMS choices a little bit more. Some CMS handle high traffic better than others. A simple site built by a tool like a Static Site Generator can handle just about anything thrown at it, as long as you can pay for the bandwidth. More complex, database-based CMS may need backup in the form of server caching and a Content Delivery Network, as previously mentioned. The way you operate will directly affect the tools you need. Mind you, the average small-to-medium business site will never have to worry about this. The people who have to worry about bandwidth the most are organizations with large membership sites (think forums and social networks), and sites with content that regularly goes viral. 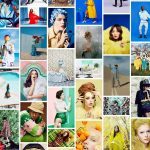 Going viral can present some unique technical challenges, because many host, and/or CMS, aren’t really designed for a sudden, massive influx of new users. However, as this phenomenon has become more common, there are actually hosting services dedicated to being ready for this. If your goal is to have your site get viral traffic on a regular basis, look into your current shortlist of CMS, and find out how well they handle that sort of thing. If you’re not using your own servers, ask your host what they would recommend. Growth is related to website traffic, but it goes beyond that. You need to ask yourself how well the CMS will scale with your organization. How many people will be acting as administrators, moderators, or contributors? How will the CMS need to operate when your business grows? Will you need more functionality and features? Will you need custom-built features, and if so, does the CMS allow for that in an easy way? If the way you operate changes drastically, will the whole thing need to be replaced? The way you operate will directly affect the tools you need, so consider this carefully. Lastly, how much time do you, or your staff have? Do you need to get up and running fast, or can you afford to take it slow? 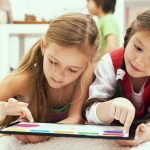 Can you accommodate the learning curve inherent in using any new system? How much time can be dedicated to the upkeep of the site? That ties in to support considerations. Will you need to hire new people, because your current staff just doesn’t have the time? So that’s the general list of concerns. You can probably think of more specific questions to ask that are relevant to your specific situation, needs, and people. I encourage you to do exactly that. There are a lot of choices out there, and there’s no reason you shouldn’t have exactly what you need. A reputation for being useful, and good at what they do. Reasonably active development, so you’ll keep getting updates. A medium-to-large sized community. Interest and support drive development, after all. Communities can also be a great place to find tech support. I chose those three qualities as criteria because, while I’ve personally tested a fair few of these CMS over the years, I haven’t, and can’t, try them all. I wish I had that kind of time. 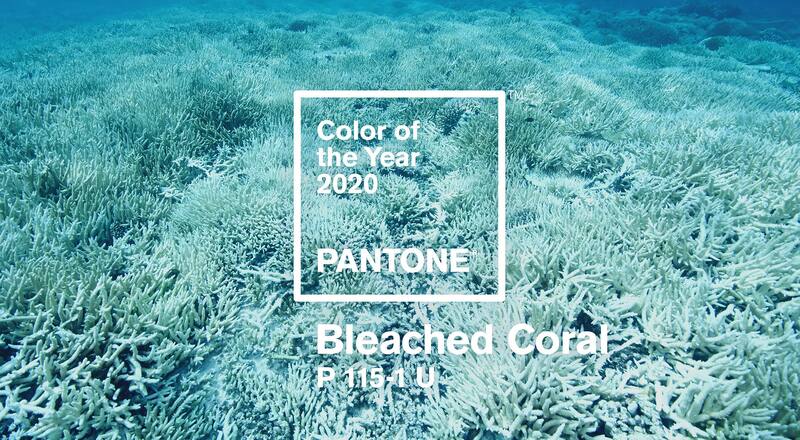 It’d be fun. Additionally, many, but not all of these CMS will be free and open source. We have at least one CMS in every category listed above. If you don’t find exactly what you need here, Google is, as always, your new best friend. Either that, or get a developer to build one from scratch. It should also be noted that for every CMS that I list as “self-hosted”, there just might be a service out there that will treat it as a managed service for you. This is especially true for the CMS with larger communities. I’ll be trying, for a while anyway, to keep this list updated, so I’m open to suggestions. Please note that any submissions must meet the criteria listed above. If you’re a developer, and you send me a link to your brand new CMS, it probably won’t make the cut, no matter how cool it looks. 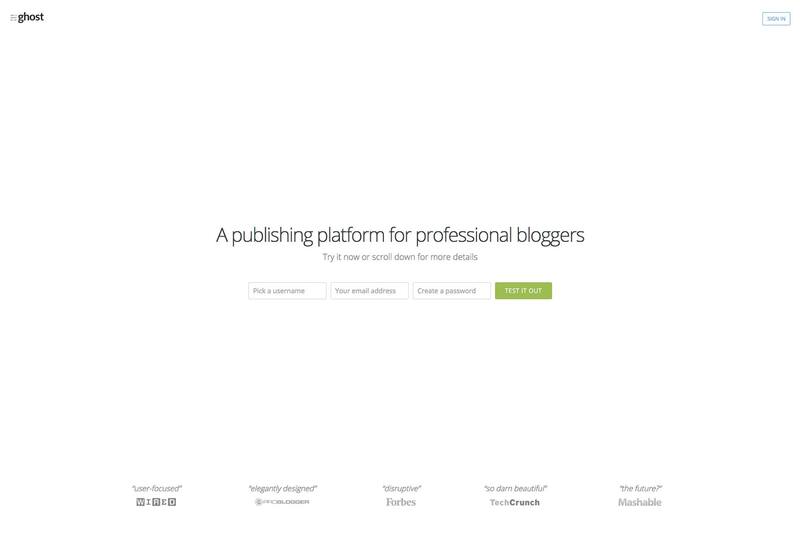 This is a dead-simple blogging CMS. The community isn’t the largest, but it’s been around for a few years, and is still receiving occasional updates. It’s only meant to do one thing, and it does it fairly well. Content, however, must be written in markdown. The user interface is perhaps not the most beginner-friendly, but it is certainly usable. 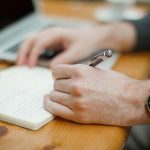 Blogging veterans might look at the heading and think, “b2evolution…that’s a name I’ve not heard in a long time.” Well it’s actually still getting updated, and the community is still going strong. 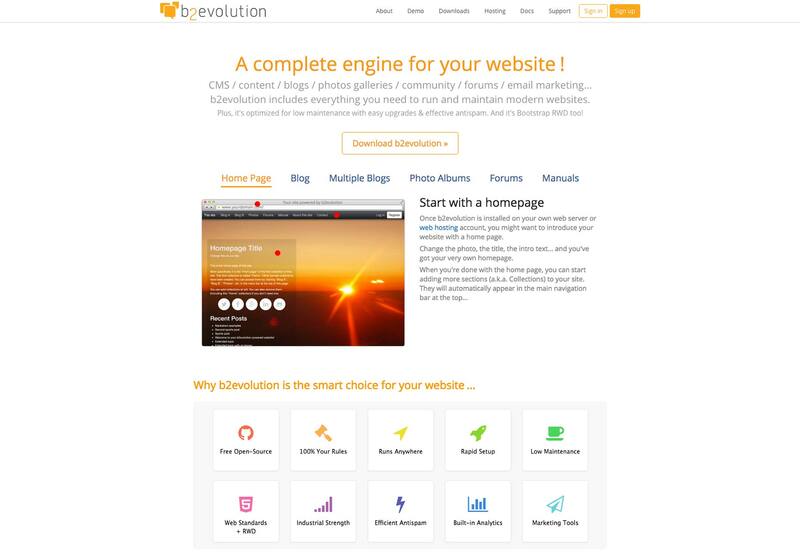 For the uninitiated, b2evolution is sort of the granddaddy of blogging software. It was not the first, but it was popular for a while, and it still hold up to this day. Backdrop got its start as a fork of Drupal. 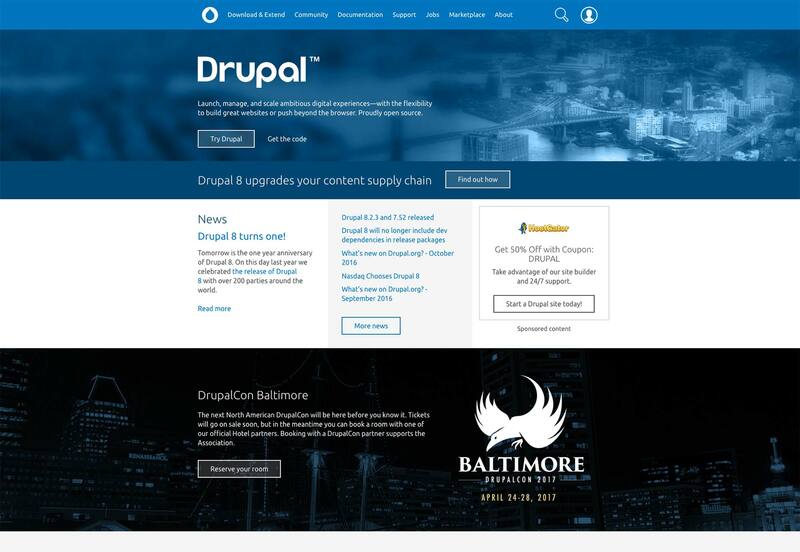 The focus seems to be making it a bit more user-friendly than the original, while retaining the power and flexibility that Drupal is known for. You’ll probably still need a developer to get the most out of this one. This CMS is not the most user-friendly until you put some work into it. Despite that, it’s one of my up and coming favorites. It’s designed specifically to allow the (relatively) easy building of large, complex blog or magazine-type sites. It makes no assumptions about what your content is going to be like, so it’s extremely flexible. The downside is that, like I said, it will take a lot of initial setup. After that, it’s all about being editor-friendly, and effectively managing a team or writers. 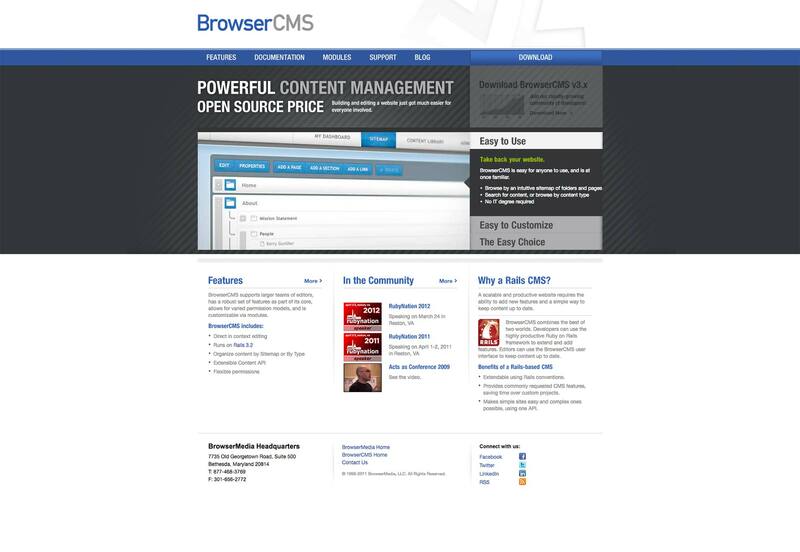 BrowserCMS is a business-oriented, page-oriented, user-friendly CMS. It supports multiple editable areas of a page by default, and has in-context editing, a content API, and built-in caching. Also featured is a highly customizable user permissions system. You can just install the CMS with a theme and go, or hire a developer to extend the site beyond the CMS itself with the content API. 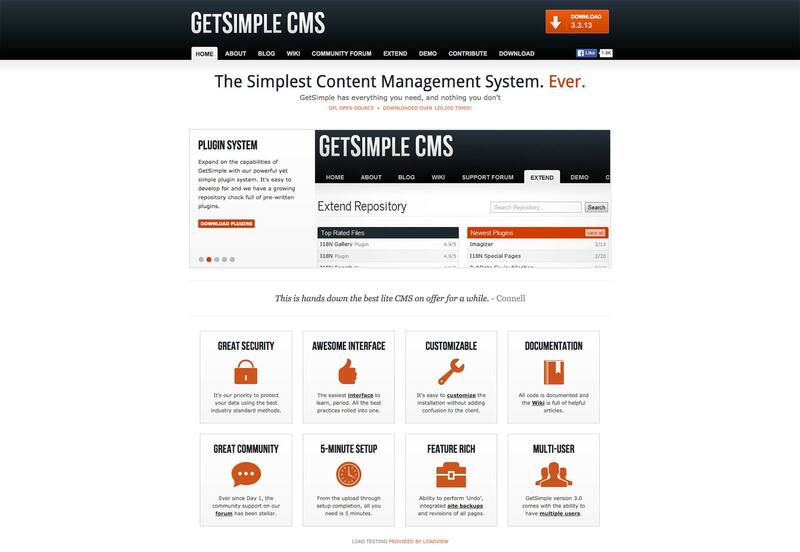 CMS Made Simple is designed to just install and go, but like basically every other system on this list, it can be customized in just about every way. The only downside to this is that it’s definitely influenced by the older portal-style CMS like Joomla. This means it’s highly modular, which is cool, and that modules often have to be customized separately, which can get complicated very quickly. Despite the potential confusion, CMS Made Simple, like its forefathers, can largely be installed, operated, and customized without needing an actual developer, unless you want a custom design. 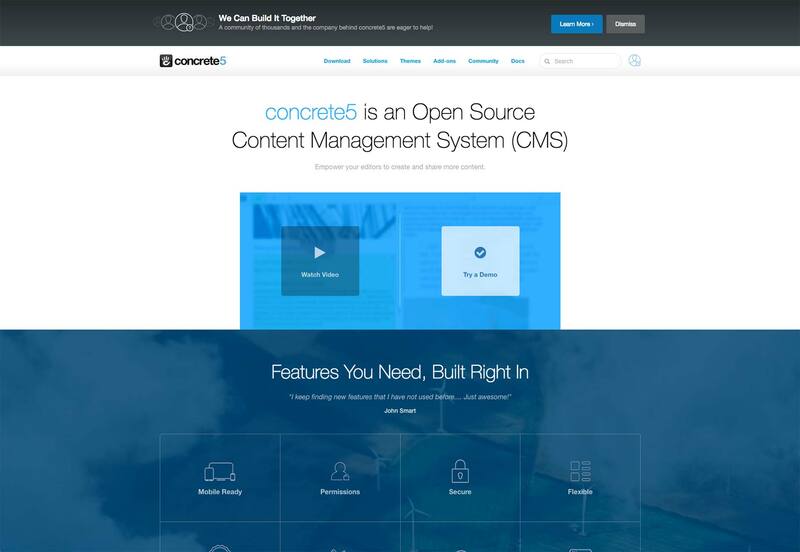 Concrete5 is almost the epitome of a general CMS. It’s designed to be very, very user friendly, with a drag ‘n’ drop interface for putting content on the pages. Once installed, and using a theme, the user need never see a single line of code if they don’t want to. Extensions and themes come in free and paid varieties, and can be downloaded directly within the admin interface. All plugins and themes go through a vetting process, so you can be reasonably sure that if you install it, it will work with your site and your theme. Naturally, this means the CMS is rather large by default, but that’s usually the price paid for ease-of-use. 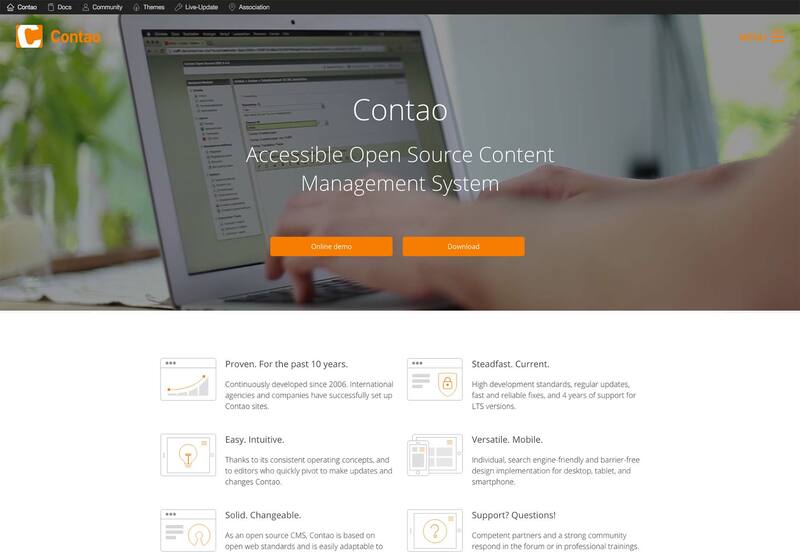 Contao is a CMS that’s been around for a decade now. 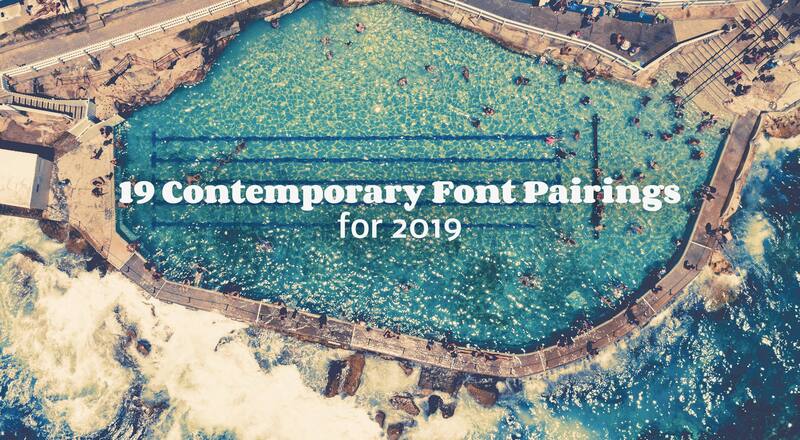 Born under the name TYPOlight, this CMS has solid support from its developers, and a loyal community. It sells itself on being time-tested and secure (with 4 years of updates for each LTS version), mostly, and that is reflected in the somewhat dated UI. If you’re look for reliability over bells and whistles, this is a good place to start. Cotonti is another framework-with-a-UI, basically. It’ll take care of content editing, user management, and everything else on the back end. Everything else, and I do mean everything else, is up to the designer or developer you hire to wrangle this thing into a usable website. Powerful, but not plug ‘n’ play. It features a large number of basic modules and extensions to allow you (or your developer) to build anything you can imagine, faster. On top of that, it includes a powerful templating system so that front-end developers who aren’t also programmers can make full use of it. 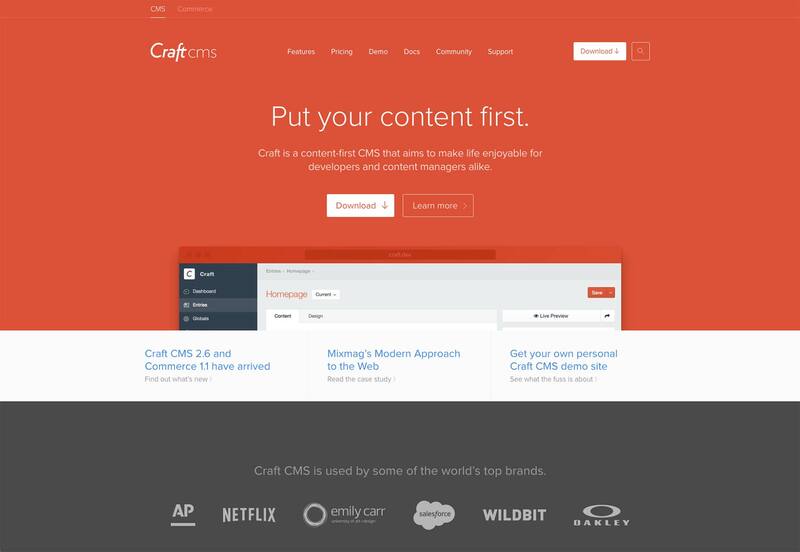 Craft CMS is modern, smooth, and pretty. It’s also one of the few paid CMS options on this list. Mind you, there is a free version, but it’s only for designers and developers who want to make personal sites. For everyone else, it’s going to cost a minimum of 200 USD. What you get for that money is a flexible system that gives you a lot of control over your content, the option to brand the CMS as your own. Paying even more gets you built-in multilingual support, support for third-party cloud services, and more. 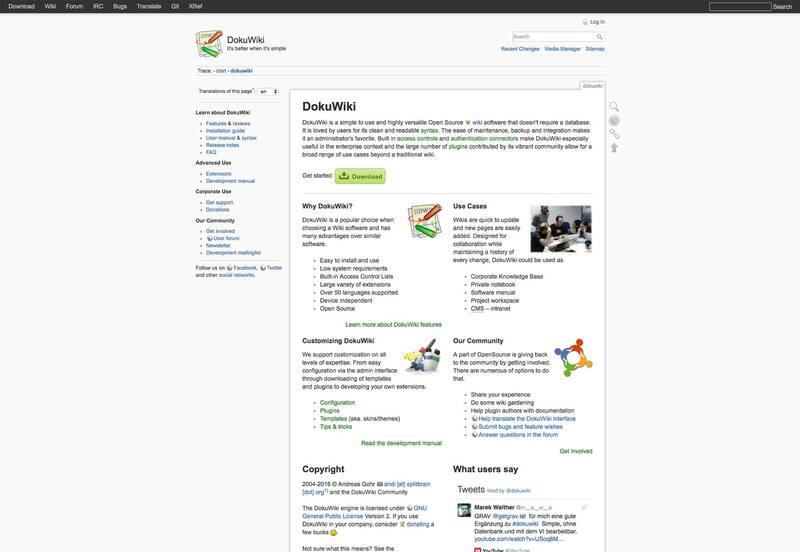 Dokuwiki is an open source option for building, you guessed it, a wiki! From personal experience, I can tell you that it is simpler to set up and use than MediaWiki, and that lesser complexity appeals to me. Larger organizations who may have hundreds or thousands of contributors might want to look at multiple options, though. Dokuwiki’s administrative functions are a little sparse. The available themes are petty outdated too, so you’ll probably want to get your own made, even if it’s for an internal project. 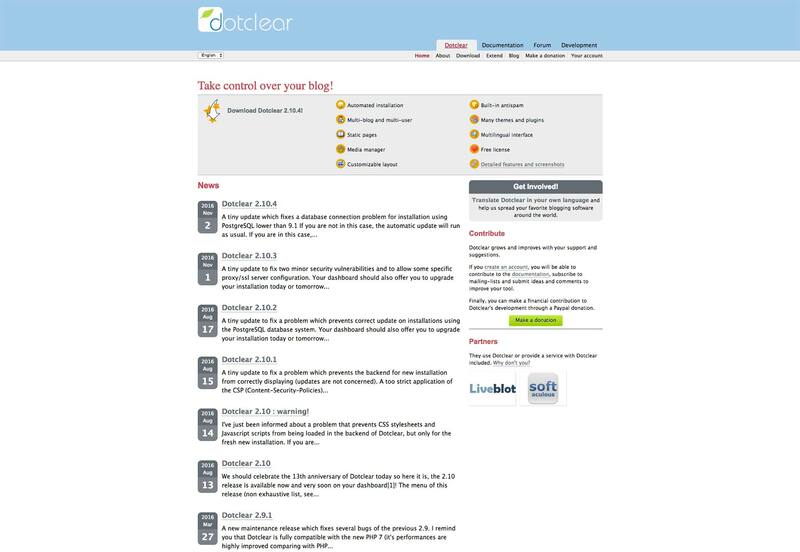 Dotclear’s stated purpose is to allow anyone to publish on the web, regardless of their skills. It does just that. While the user interface, and default themes, feel incredibly dated, they are easy to use. The default theme is highly customizable via the admin interface, and the whole thing feels beginner-friendly. I might even recommend Dotclear for people who are learning to manage their own, self-hosted website for the first time. It won’t be pretty, but it will be functional. Besides that, it is extendable, with a loyal community, and it’s still getting updates after starting in 2003. 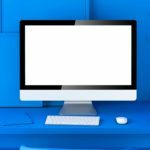 If you are unfamiliar with the basic concepts behind operating a blog-style site, Dotclear might make an excellent learning tool before you move on to more complex systems. I’ve mentioned Drupal before because it’s a huge name in the CMS world. 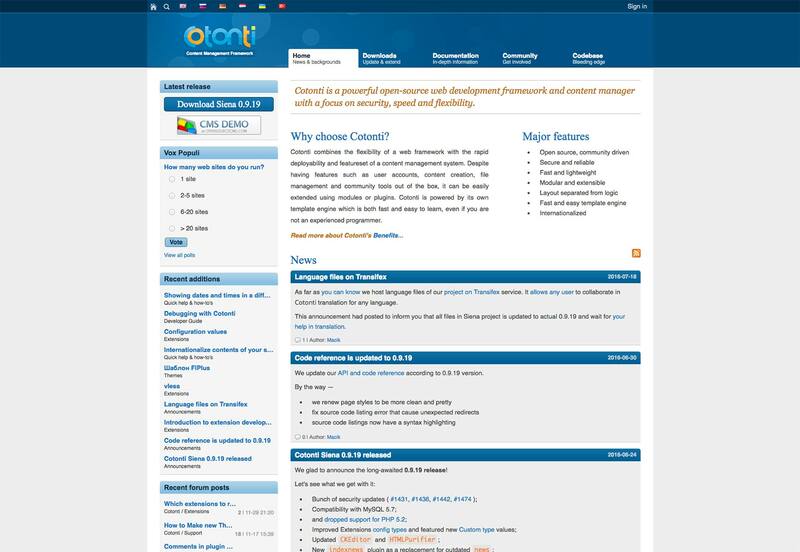 It’s the biggest, and possibly the best example of a bare-bones framework CMS. The community is large, there are myriad extensions, more tutorials than you can shake a stick at, and a theme song. 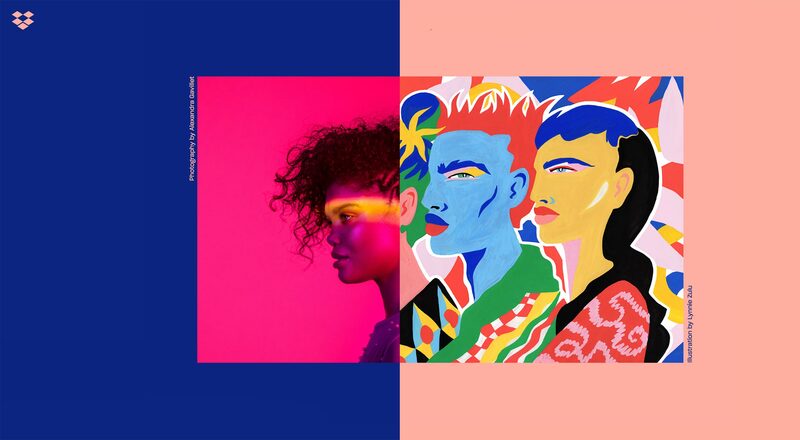 Yes, someone wrote a theme song about a CMS. And now, years later, parts of that abominable earworm still come back to my mind. It’s bad. The CMS is pretty great, though. As with all CMS in this category, you’ll need a developer to get any serious use out of it. ExponentCMS is another stab at a one-size-fits-all solutions, with features for administrators, designers, and developers of all skill levels. They seem to pride themselves on the inclusion of built-in SEO features, and ease of use. 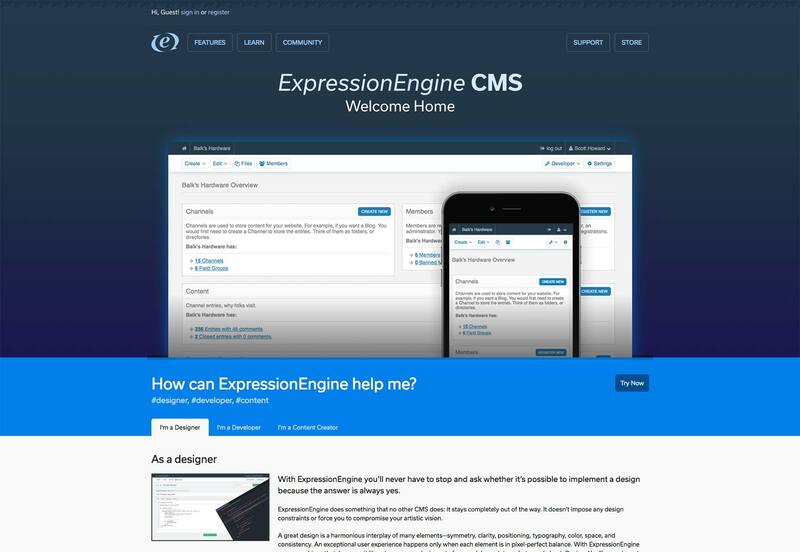 ExpressionEngine is built around flexibility, while trying not to sacrifice ease of use. So while it’s not a bare-bones CMS exactly, it does have a learning curve. Whoever manages the site should learn the ins and outs of its massive, powerful templating system and content management style to make the most of it. In short, it’s not for beginners. Either hire a developer, or use it if you like to build and tinker with your own sites. It comes in two editions. 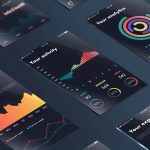 The Core edition is free, but lacks a lot of those quality-of-life, ease-of-use features that would make ExpressionEngine ideal for a client’s site. A commercial license will set you back 300 USD, but will make some aspects of managing the content a lot easier. 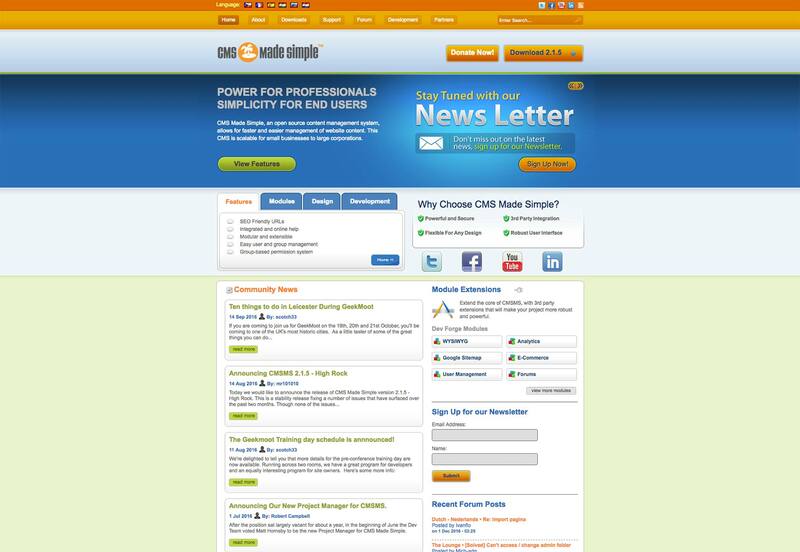 GetSimple CMS is designed for small websites, and for users who don’t want to mess around with anything complicated. 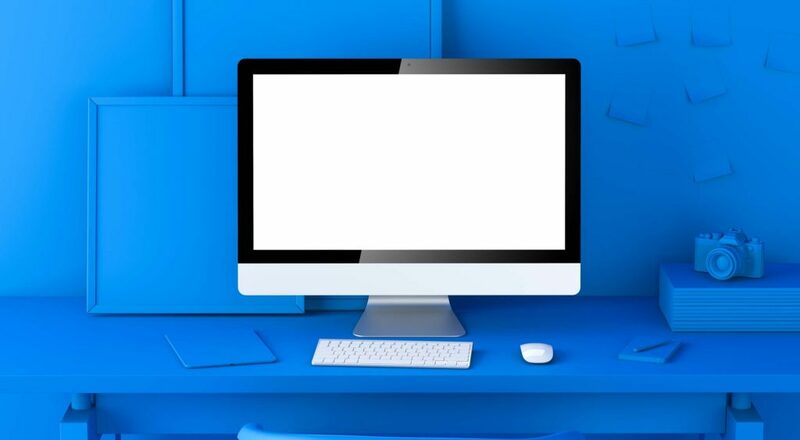 It’s flexible enough to manage just about any kind of site a small business or individual would need, and is extendable with plugins, but it’s not built for massive organizations. You can just install and go with an existing theme, or have a custom theme made. Support is largely provided by its community. News about updates seems to be oddly spread around different parts of the site, but the updates are regular. A good, free option for those just starting out. Ghost was created by people who used to work on WordPress. 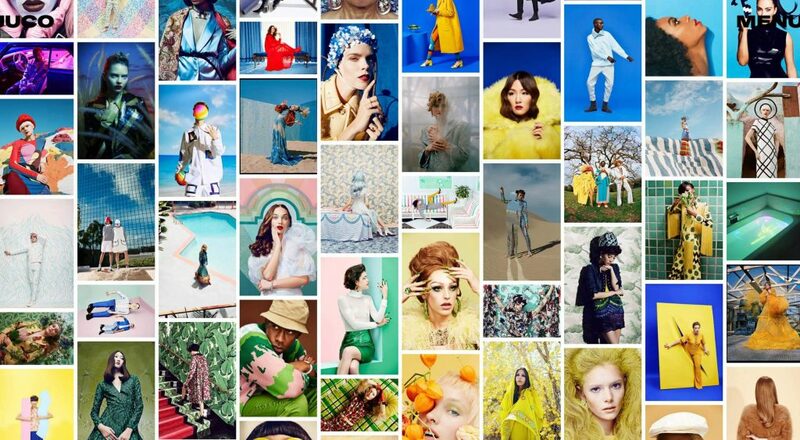 While WordPress started as a pure blogging system, it has since expanded way, way beyond that. The people behind Ghost wanted to get back to basics, and Ghost was the result. It’s more than ready for public use, though the feature set is still somewhat limited (I have yet to see a proper search function, for example). Most of the work currently going on is under the hood. The whole system is fast, the UI is pretty, the posts are written in markdown, and you get a live preview as you write them. It’s a simple, stable CMS that’s all about doing one thing, and doing it right. If you need a simple blog, and use NodeJS, Ghost is probably your best option. There is a 14 day free trial and pricing plans start at 19bUSD per month. 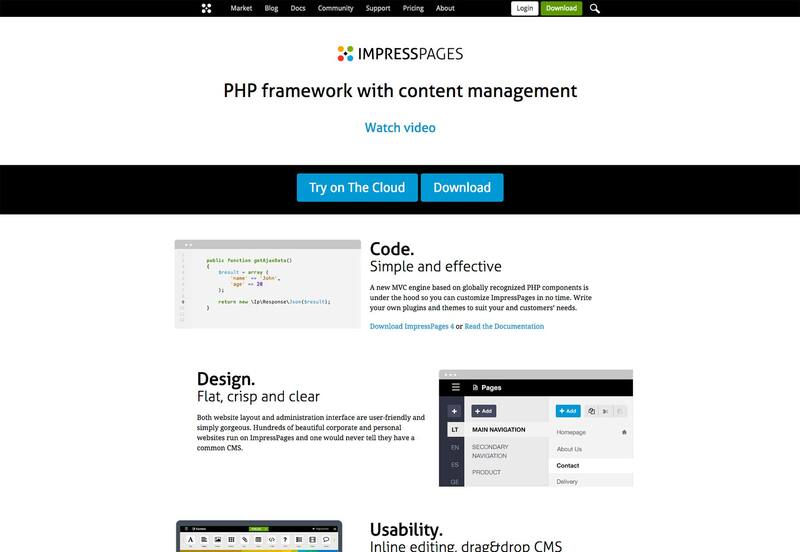 ImpressPages started life as a more genral CMS with drag ‘n’ drop content management like Concrete5. However, starting with version 4, they made the transition to a framework. They kept the easy content administration, though. 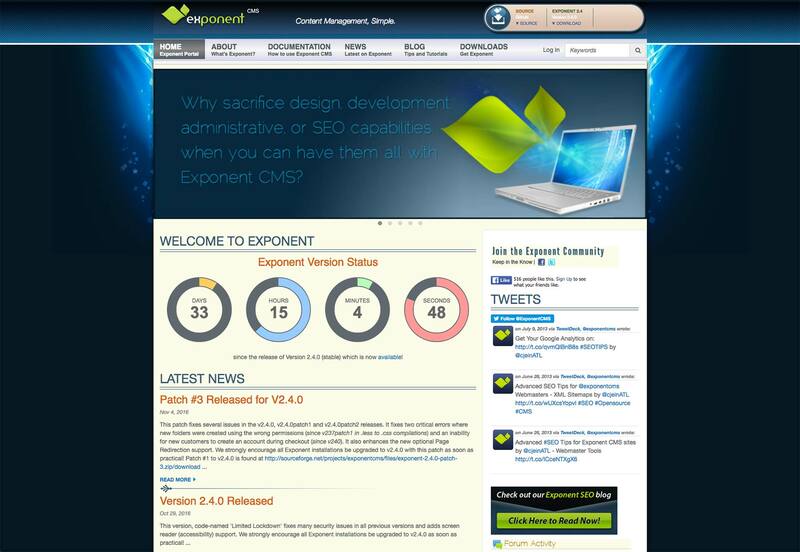 The result is a powerful, flexible framework CMS that is very client-friendly. It’s also fairly easy to build basic sites with, even if you’re not a full-on programmer. Anyone who’s ever built a WordPress theme (or a theme for any other CMS, really) will be able to work with it. 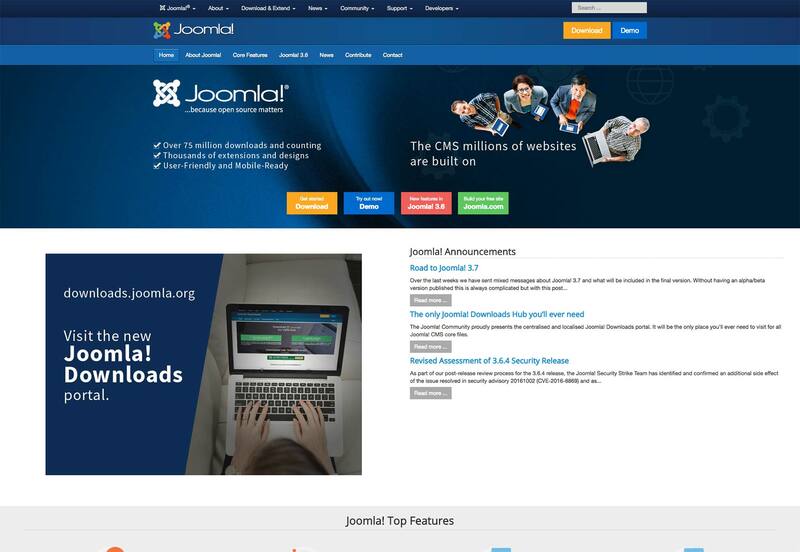 Joomla, as I have mentioned before, is from the days when people wanted their CMS to do just about everything and anything. The result is a large, capable system that really can do just about anything, and you don’t usually need a programmer to do it. The downside is the complexity of the system. Though they’ve been making an effort to simplify the admin experience, it still tends to overwhelm new users. Start adding on third-party modules, and things get more complicated, faster. We’re talking Avril Lavigne levels of complicated. 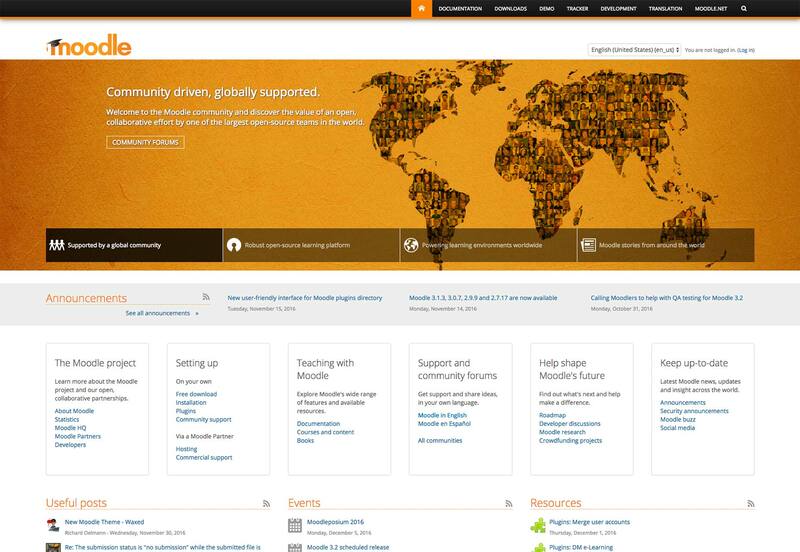 On the other hand, few CMS communities are larger than Joomla’s, so there are plenty of resources for support. 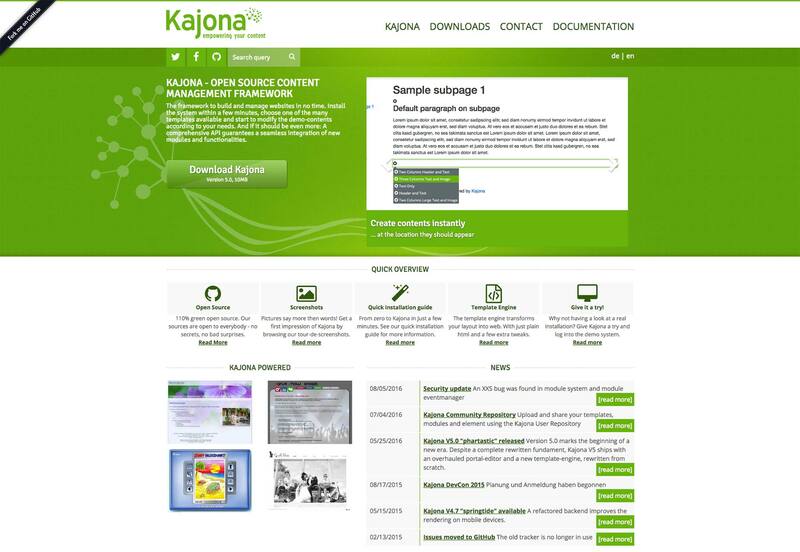 Kajona is like ImpressPages in that it is a framework CMS that tries to be as friendly to non-developers as it is to the developers. You’ve got drag ‘n’ drop, in-context editing, extensions, a designer-friendly template engine. Besides all of that, it supports building multi-lingual sites by default. Known is a bit like Medium. However, instead of focusing on individual blogs, this software provides blogging for groups and larger publications. There is no free plan on the managed version, and it costs 6 USD per month, for up to 200 users. On the plus side, you can use your own domain name, customize the site’s CSS, add your own analytics system, and more. Unlike many managed services, Known also provides full data export, meaning you can just take your content and leave the service at any time, and they make it easy for you. Or, you know, just download it and do anything you want with it, for free. 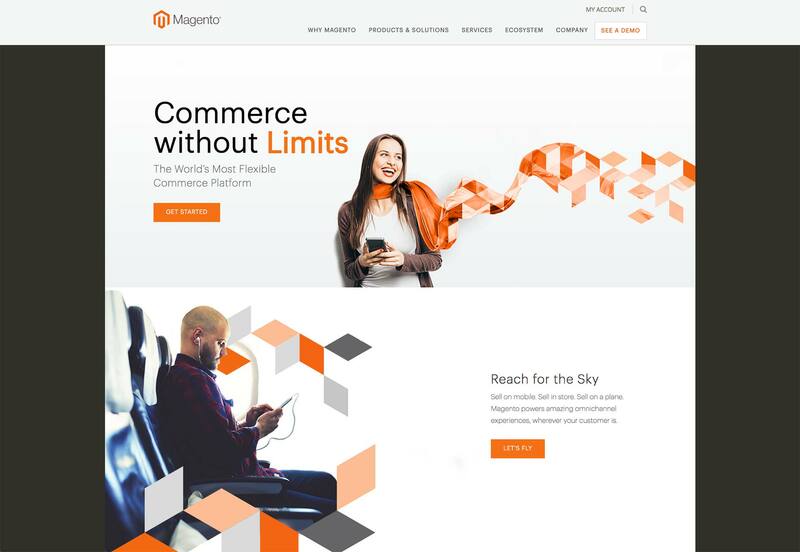 Magento is the big name in Ecommerce CMS these days. It has every feature you could ever imagine, plugins for all the features everyone else imagined, and plenty of support options. It is also, as you might expect, massive and complicated. If you just want to start selling a couple of t-shirts for your band, there are much simpler options, including Shopify. And here’s another in the large, complicated category! Well, that’s sort of necessary, because it’s a wiki. Heck, it’s the wiki, as in the software that runs Wikipedia. If that’s not a massive recommendation, I don’t know what is. 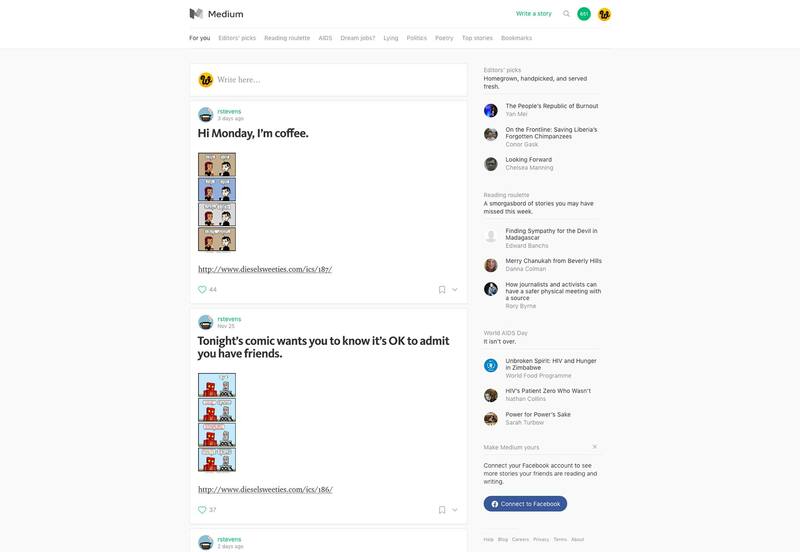 If you haven’t been reading your friends’ thought pieces recently, you might not be familiar with Medium. 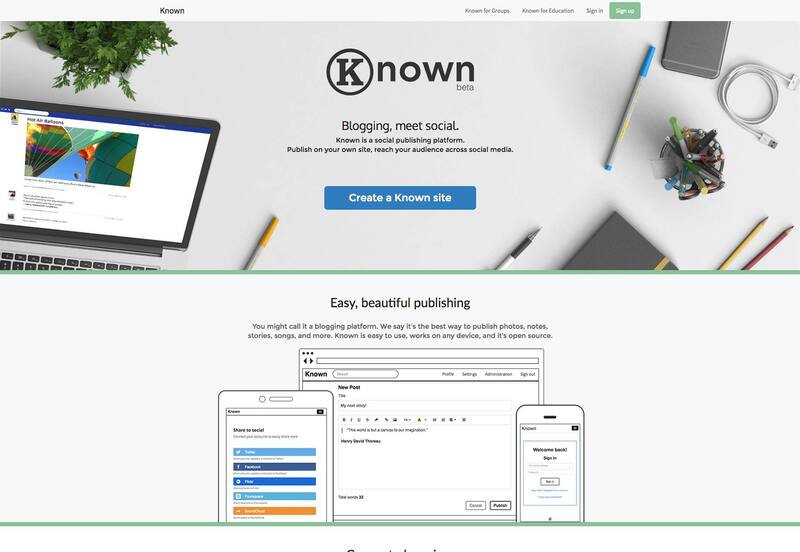 Basically, it’s a social blogging service that is fast, pretty, and designed to help you connect with more readers. Its feature set is kept limited on purpose, and there are not many options for customization. You can brand it as your own with a domain if you use Medium’s “Publications” features, though. The upside is that all the technical stuff is handled for you. The downside, as with any managed service, is that you, your blog, and your data are all subject to whatever the service decides to do with them. Still, if you want to start a blog or magazine on a budget, medium is a good place to get started. 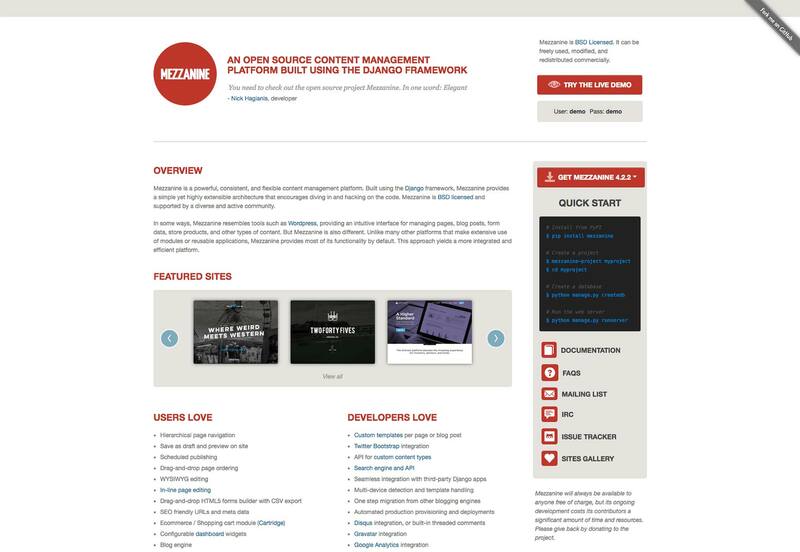 Mezzanine is a general CMS with a fair number of the standard features. Plus, there’s in-context page editing, a theme marketplace with both free and premium themes, ecommerce and blog modules, and more. It should be noted, however, that users unfamiliar with the command line, or managing servers, might have trouble installing it on their own. You´ll need a developer for the initial setup at least, or maybe you can get your host to help you. 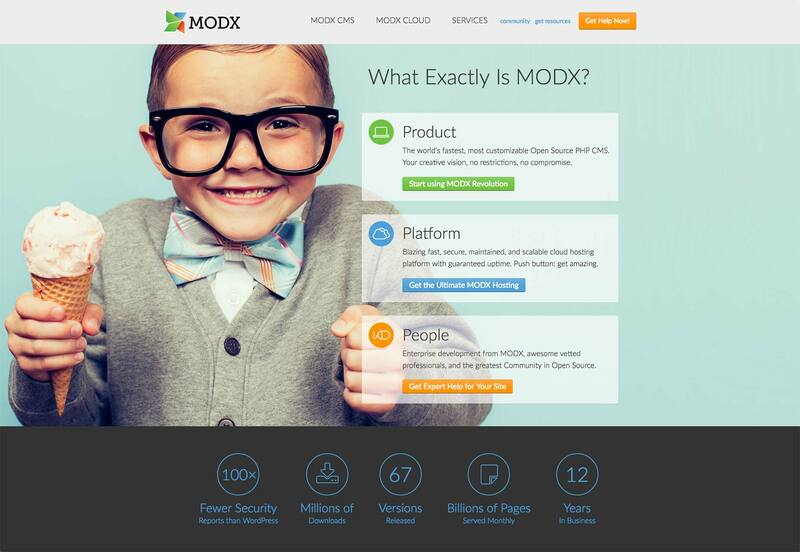 MODX bills itself as a feature-complete CMS. And it is. It’s also very bare-bones when first starting out. But you can easily (with a developer) build multi-lingual sites and multi-site installations, with just about any features you can imagine. Plus, there’s the built-in marketplace for themes and plugins. You can pay for commercial support for your own open source installation, or you can sign up for a cloud-hosted installation of MODX, and let them handle the hard stuff for you. Moodle is one of the more unique CMS on this list. It is designed for managing online courses and learning communities. It’s mostly install-and-go, though it can, of course, be customized. MotoCMS used to be a Flash-based CMS. I’m not even kidding. Flash templates are no longer supported, however, and MotoCMS is now a CMS attached to a site builder. 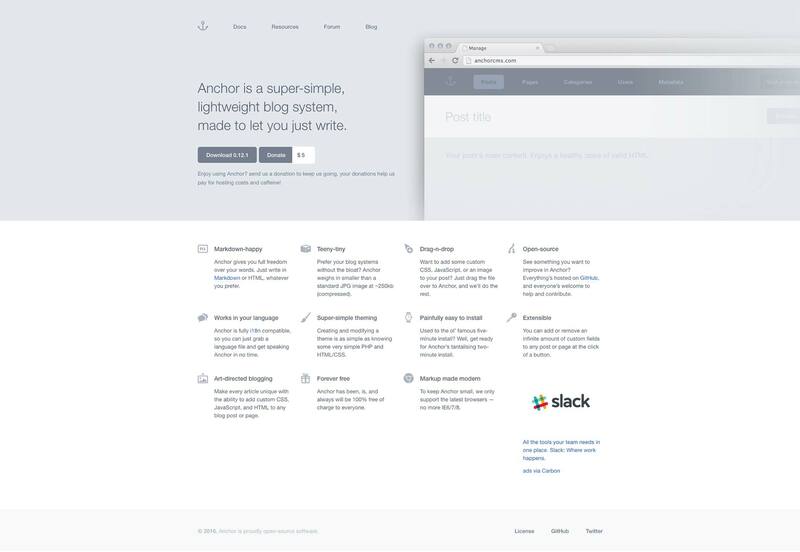 Like all site builders, it’s designed for anyone to pick up and use. Just sign up and start clicking until it looks how you want—you can start from scratch or a template. Mind you, once you’ve designed and built the site, you’ll need a place to host it. Moto CMS does not handle this themselves. The CMS itself is not free or cheap, though there are discounts available for bulk orders by developers. 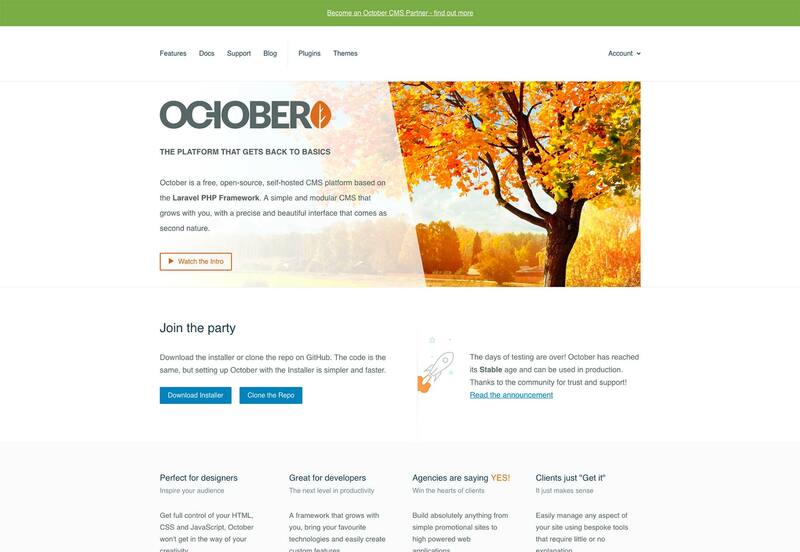 October CMS is an excellent framework-style CMS, with a strong templating system, and a powerful system for extensions and plugins. It’s a bit more GUI-focused than your average framework CMS, though you’ll still need a developer to get anything out of it. But, once it’s set up, it’s quite user friendly. 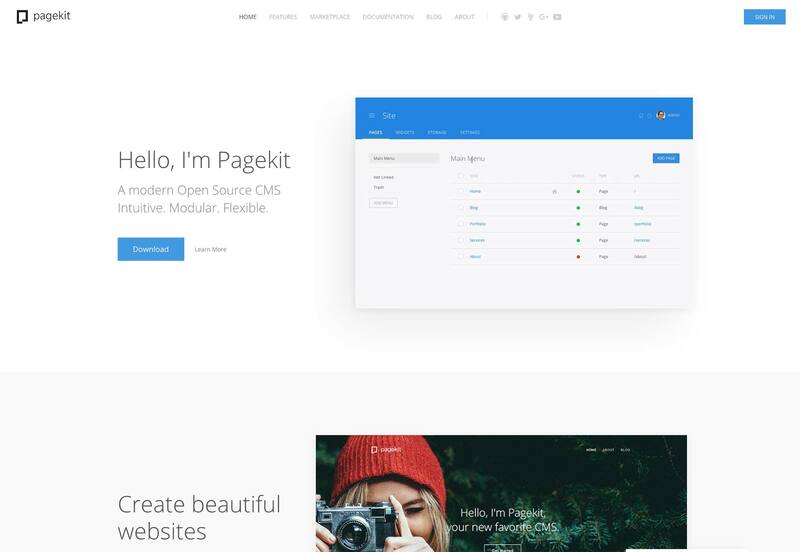 PageKit is one of the newer CMS on this list, and it is quickly gaining popularity for it’s ease of use, beautiful UI, and for having all the features you might need to just install and go. Plus it has it’s own built-in analytics. 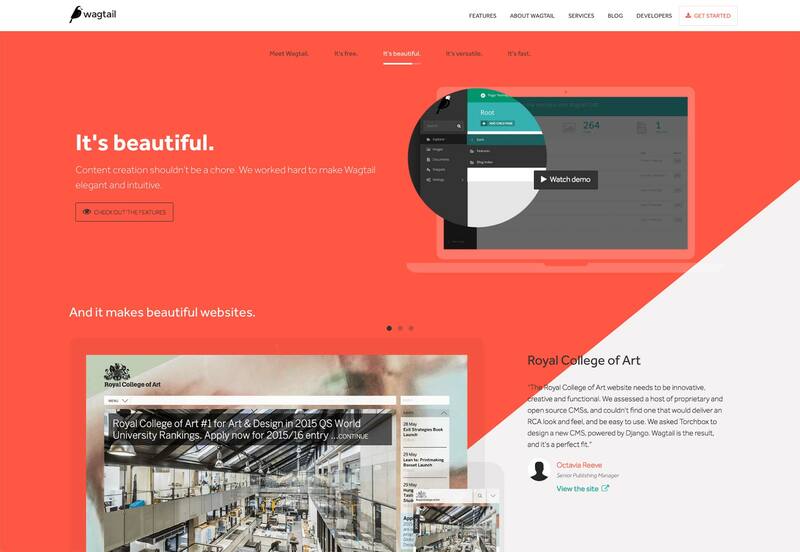 Perch is a CMS built by designers, for designers. Thus, its strength is its templating system, which is designed to allow you to build any kind of site you like without needing a programmer. You just need HTML, CSS, and knowledge of the CMS itself. These advantages come at a price. Specifically, 69 USD (before tax) for a single site license. Multi-site licenses are available with a 59 USD (before tax) monthly subscription fee. If you’ve got developer skills handy, the somewhat more complex Perch Runway is, although more expensive, also a lot more powerful. 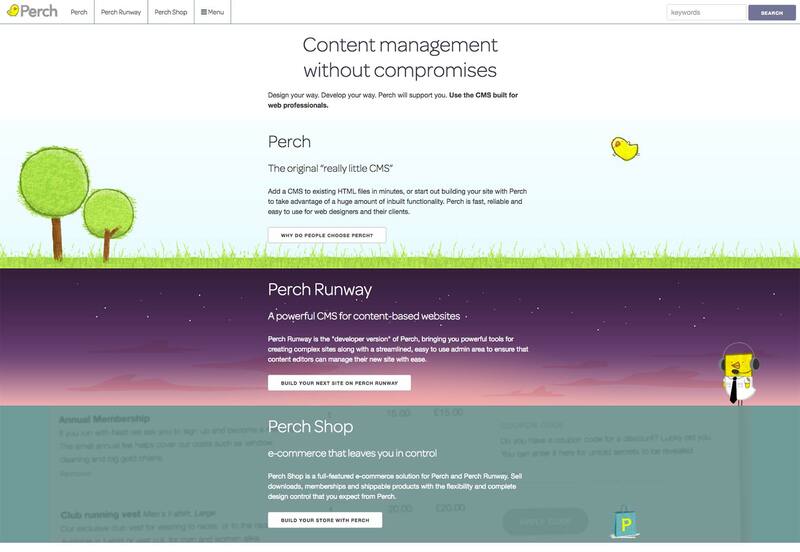 Where the regular version of Perch is designed to integrate with any existing HTML files as a basic CMS, Perch Runway basically allows you to build your own CMS. It’s closer to a framework, really, but it’s still designed to be simpler than, for example, Drupal. Well, it is what the name says it is. 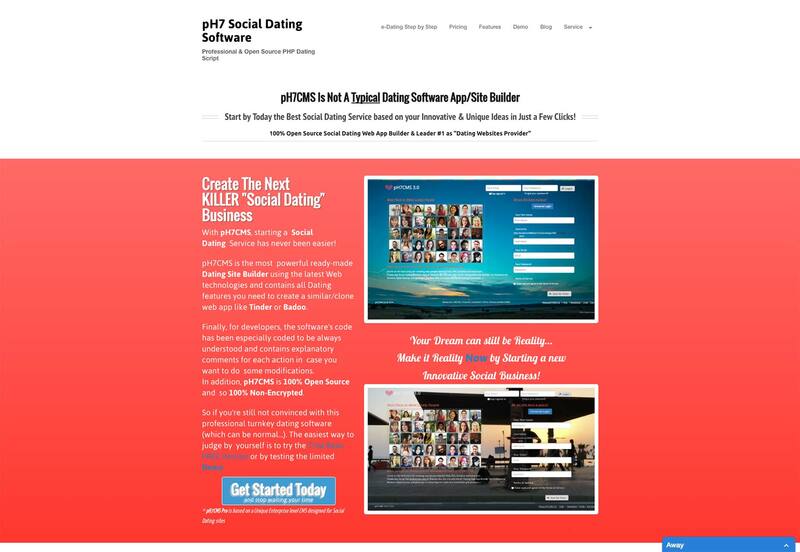 It’s software for building your own dating sites. Mind you, you’re probably not going to be the next OKCupid, so they’ve designed it so that you can easily create niche dating sites. 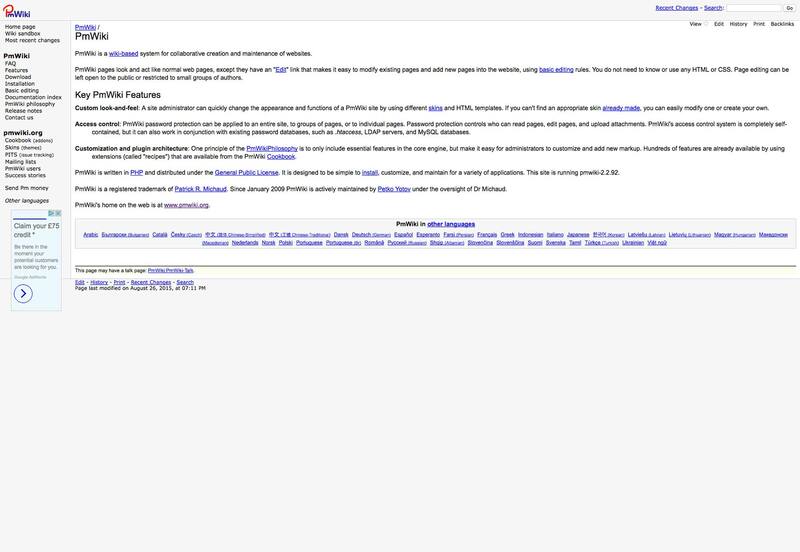 PHPWiki is a clone of Wiki Wiki Web, which was, incidentally, the very first wiki. And yes, it’s still being used and updated. Keep in mind that this software is pretty much the opposite of complex, or fancy. It’s small, it’s lightweight, it’s never heard of CSS. Pimcore is an open source, feature-complete enterprise CMS, which means that its marketing features a lot of acronyms that I don’t really know. I do know that its community is large, and it has a lot of commercial partners all over the world. If you need support, you can hire the guys that made it. You can also get training, installation on your server, or a managed version in the cloud. Basically, if your enterprise needs it, Pimcore has it (probably). 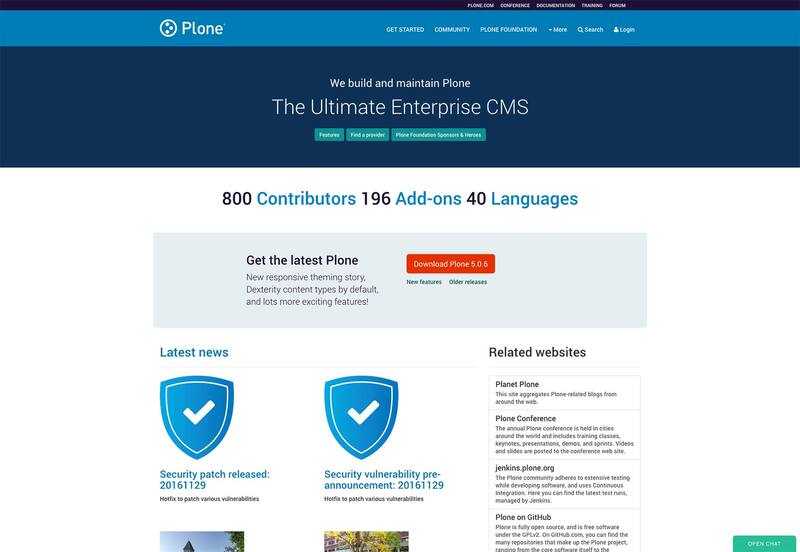 Plone is another open source enterprise CMS. It’s big, it’s feature complete, it works. As with Pimcore, and, I suspect, every other Enterprise CMS, you can get free support from the community, and paid support from the non-profit that makes it. Plus there’s the extensive documentation. 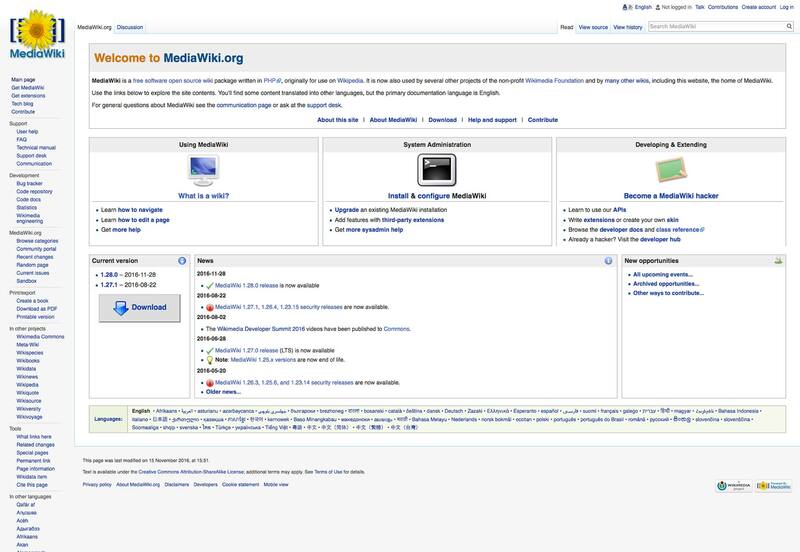 Another basic wiki CMS, PmWiki’s focus seems to be on ease of installation and ease of use. Mind you, the ease of anything is relative where wikis are concerned. The available templates are more than a bit outdated, but you can always have your own made. Prestashop is huge, with a huge community, tons of resources, and of course, professional support behind it. Customize it with themes and add-ons, or don’t. 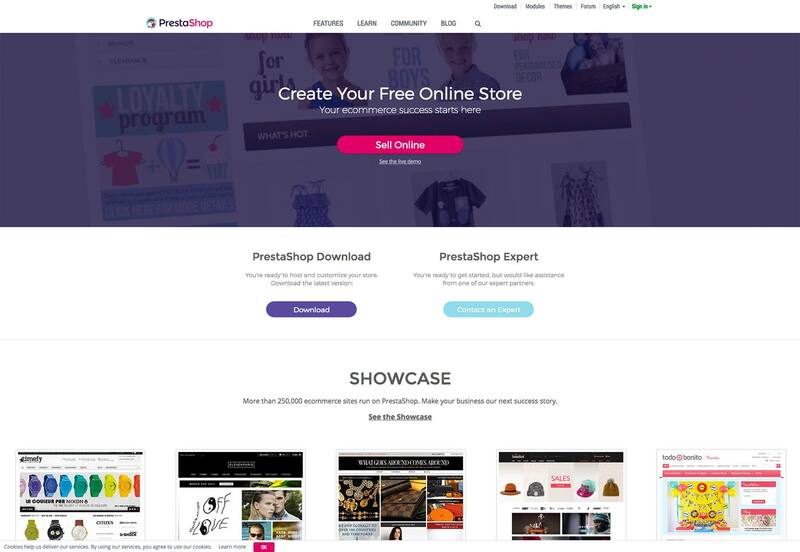 Prestashop has a hosting partner that can handle the initial setup for you, and provide hosting, of course, or you can download and use it for free. 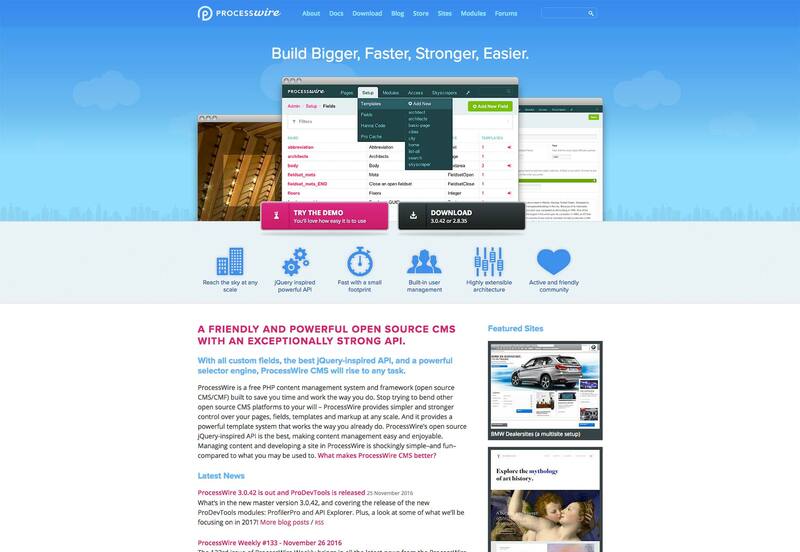 ProcessWire is a bit like Bolt CMS. You’ll need a developer (at least a front-end dev) to get it up and running properly, but you can build just about any kind of content-driven site you can imagine, and without actually resorting to programming. It’s complex, but powerful. 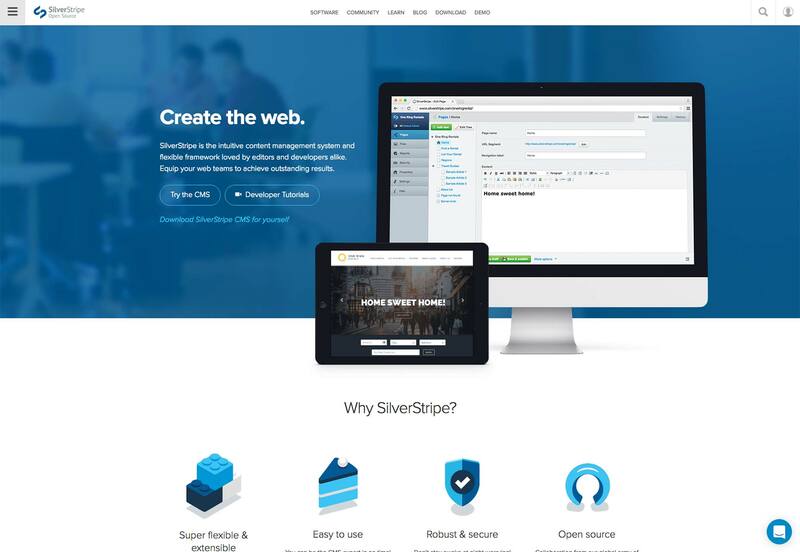 Silverstripe is a CMS with a buit-in framework. That is, you could just install it and use it as a CMS, but it’s designed to make it easy for developers to add just about any kind of functionality that you could want. 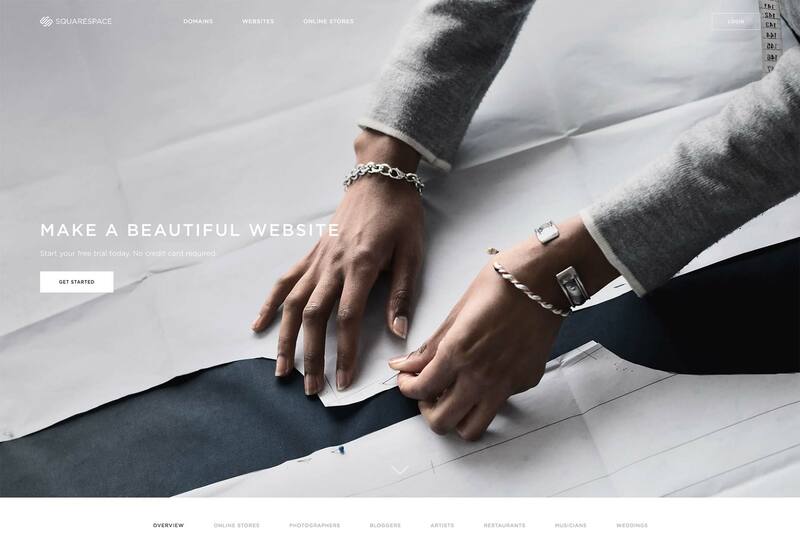 Squarespace, while not by any means the first site builder, put site builders on the map as viable tools for building pretty, usable, and functional sites. Other site builders tended to use dated templates and old code, and relied on customers not having any better options. 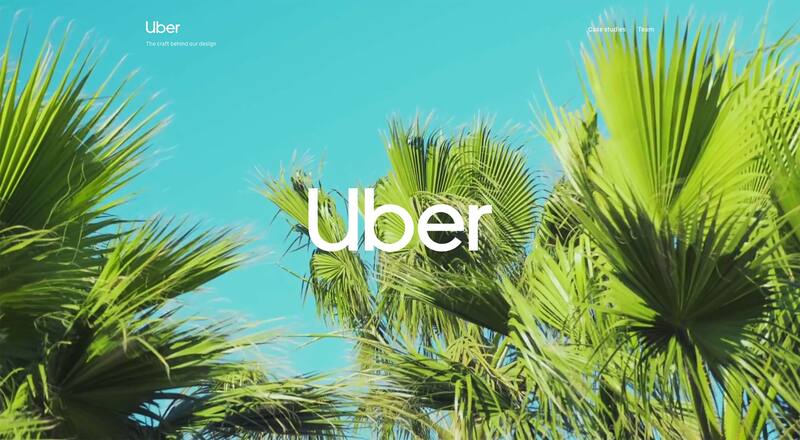 Squarespace moved that entire sector of the industry forward by giving everyone a high-quality product to compete with. 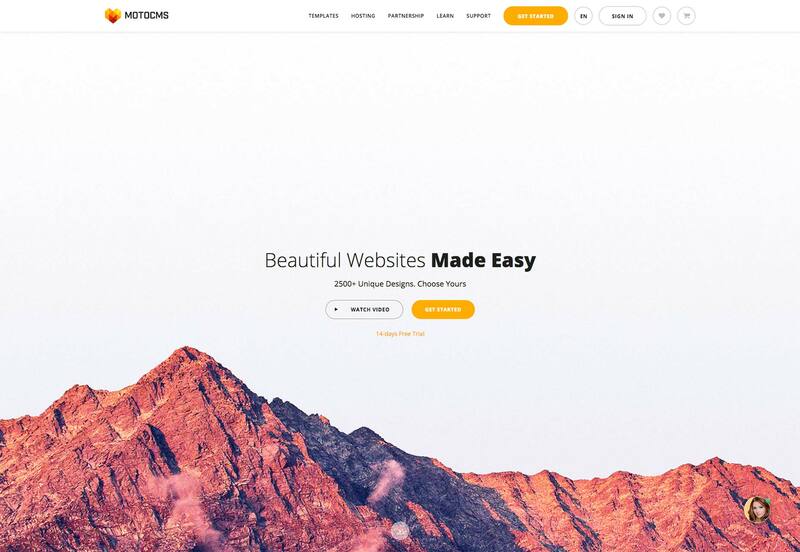 You can use it to build just about any kind of personal or small business site, the premade templates are plentiful, and you can actually customize every part of the front-end code if you like. 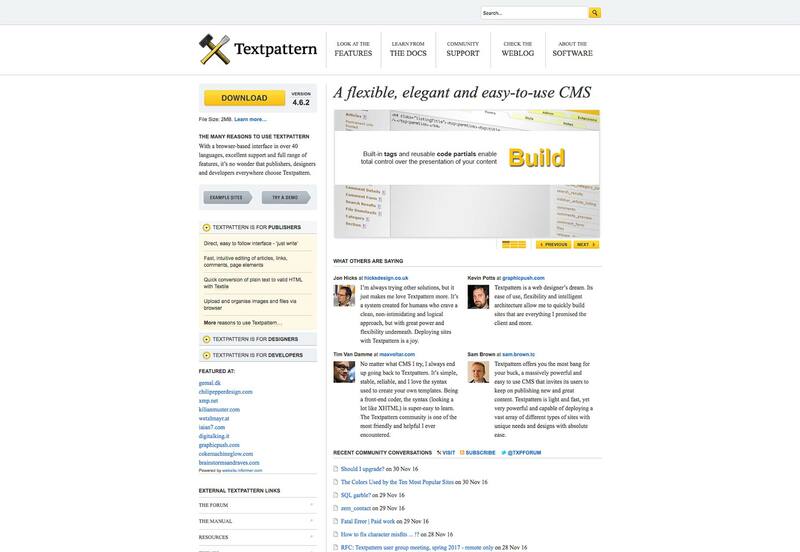 Textpattern is an older piece of software designed to run blogs, magazines, and any other site that focuses on regular publishing. It’s flexible, it’s fast, but it’s got a heck of a learning curve. 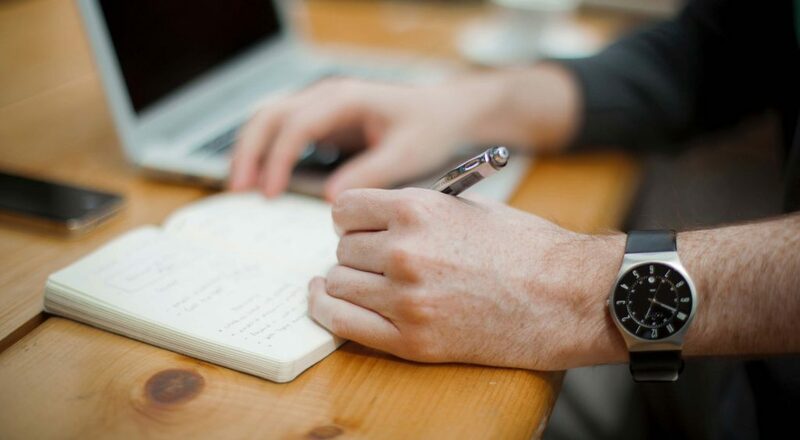 It can build almost any kind of publishing site you need, but your editors will need training. The community is not huge, but it is welcoming. There are quite a few available extensions, and a few themes, but you’ll probably still need a developer, or at least someone very familiar with the templating system, to help you set it all up. 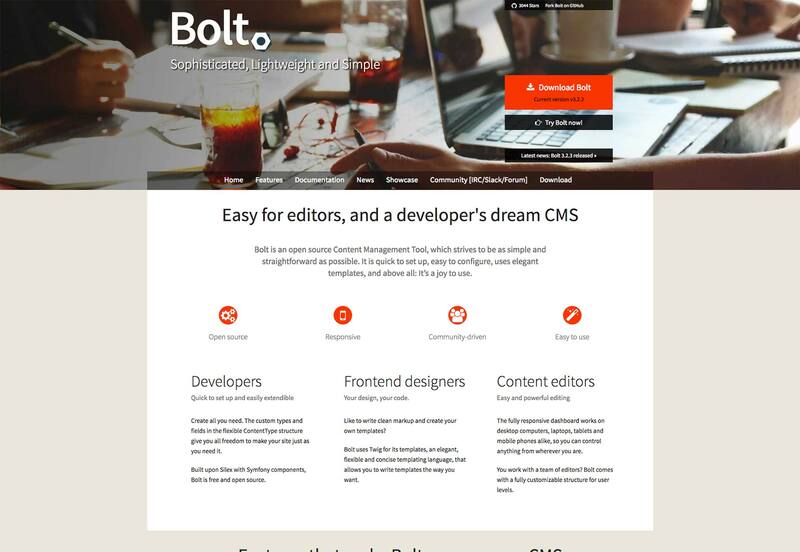 I personally think of it as a spiritual ancestor to Bolt CMS, but it’s definitely still viable for use today. TYPO3 is an enterprise CMS that unlike some others, is designed to handle the front-facing aspects of a website. It’s just meant for the really, really big ones. In fact, it offers multi-site features, multilingual features, versioning, workflows, workspaces, and more. It’s open source, but professional technical support is available if you need it. It’s an open source CMS with all the basic features you could want, and all of the trimmings too. It has a form builder, a powerful built-in search engine, document management, and more. The standout feature, however, is called “Streamfield”. Basically, it works a bit like a site builder. Once the main template is set up, content editors can arrange headings, paragraphs, images, and more as blocks of content, giving them more flexible layout and art direction options. 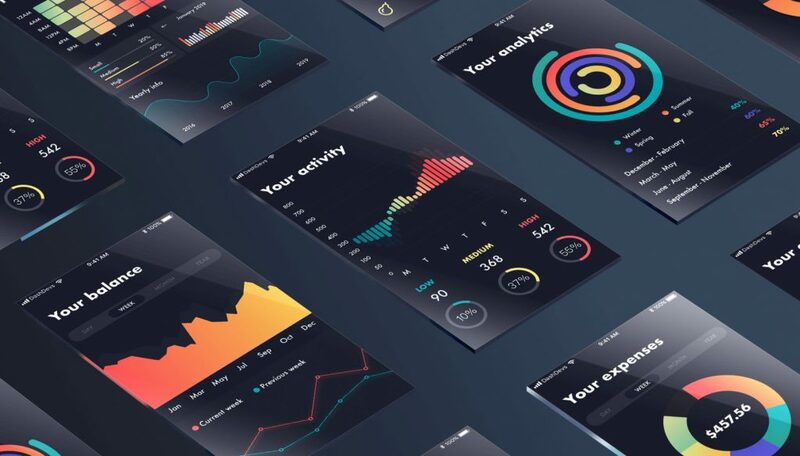 Webflow started out as more of a web design app than a CMS. It allows you to build websites from scratch in a point-and-click fashion, and it will generate the code for you. 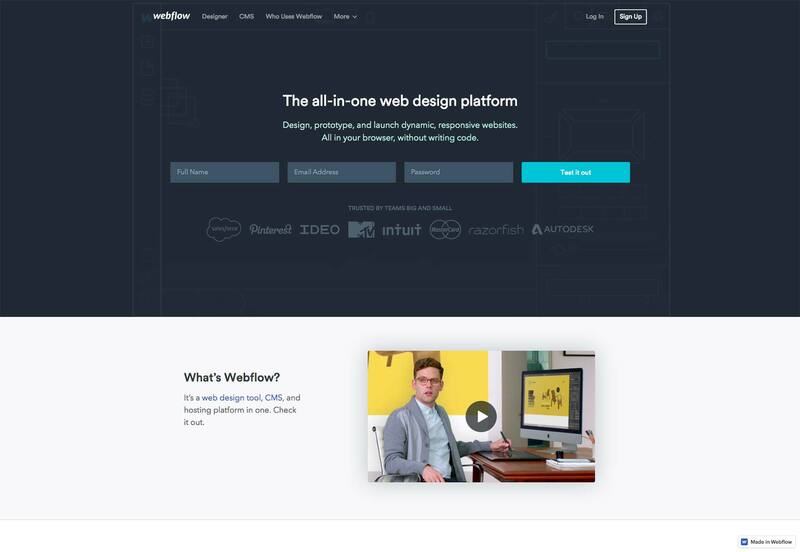 Unlike Squarespace, which is template-based but allows you to alter the templates or make your own, Webflow is more like Dreamweaver, but better. You can host your site with them, or download it to use on another server, and now you can integrate CMS features like blogs into your design, all without ever touching the code. Or, you can touch all of it. That’s up to you. 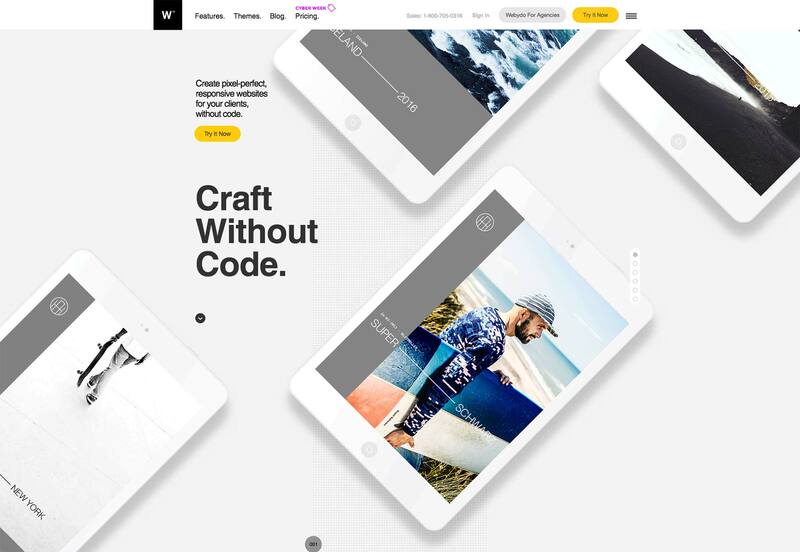 Webydo is another site builder. It’s got the standard features: design your site from scratch, never touch the code if you don’t want to, use CMS features, and so on. It is priced more for agencies than individuals, though, and the feature set reflects this. This is meant for teams who have a lot of websites to make. It even has a billing feature built in for client work. 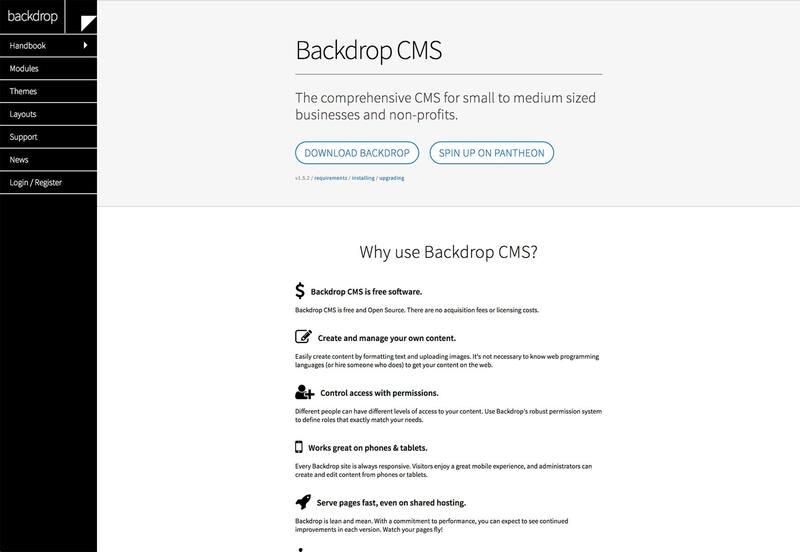 WolfCMS is a very, very small general CMS, made for managing simple page-focused websites. There are plugins for more complex configurations, but at its heart, it’s all meant to be integrated with smaller sites. It has a long history of being stable, and the community, while small, knows the ins and outs of this CMS by heart. Since it’s free and open source, it’s worth a look for any smaller project. 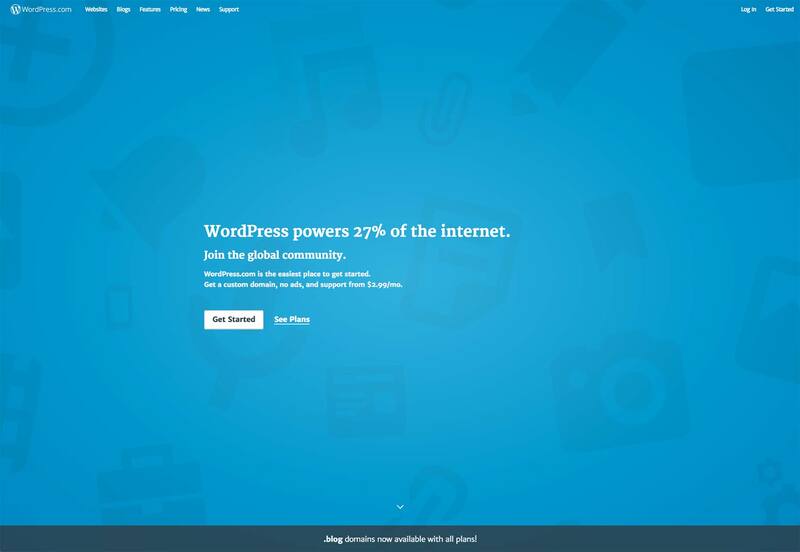 Even if you’re never built or managed a website, there’s a chance you’ve heard of WordPress. It powers over a quarter of the known websites that use a CMS at all. Its popularity is in large part due to its power, flexibility, and comparative ease of use. It’s also in part because back when WordPress was introduced, it was the easiest option to install. While it is a blog engine, and its default configuration starts you off with a functioning blog, it has been adapted to build every kind of website you can imagine, including Facebook clones, forums, online stores, and many more. You can have all of this power absolutely free if you put it on your own server. Or, you can start a free, if somewhat limited blog over on wordpress.com (and yes, there’s a paid plan with extra features). There’s more community support for WordPress than any other CMS, and more than one company that you can pay for tech support. You don’t need a developer to use it to start a blog, but it doers help to have one on hand for building anything else.